Between the two world wars, Brighton’s architectural heritage sank to a low point both in terms of public esteem and condition. 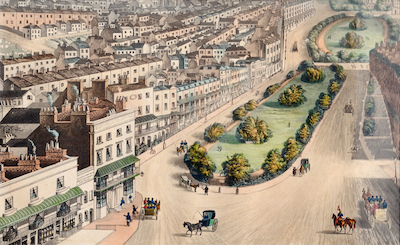 Plans were put forward to replace the Regency terraces of Brunswick Town with modern blocks of flats and to build a new town hall on the site of the Royal Pavilion. In 1939, two men, DL Murray and Antony Dale, determined to halt this wanton destruction and decided to set up a Brighton branch of the Georgian Group. Murray was a former Cambridge philosophy don and editor of the Times Literary Supplement who lived in Hove; Dale, a native of Brighton, and then a trainee solicitor, was a recent graduate of Oriel College Oxford and author of a monograph on James Wyatt. But their plans were thwarted by the outbreak of the Second World War. Towards the end of the war, two other men hatched a similar plot. Clifford Musgrave had come to Brighton as assistant librarian in 1939 and in 1941 was appointed Borough Librarian, a post that also carried responsibility for the Museum and the Royal Pavilion. William Teeling had been a journalist and became one of Brighton’s Members of Parliament in 1944. The Georgian Group brought the two pairs of men together and they met regularly at Teeling’s home during 1945, finally resolving to set up The Regency Society. 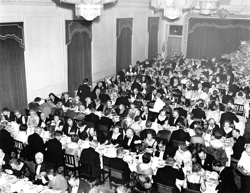 A first public meeting was held on 11 December 1945 and drew an audience of 300, most of whom signed up as members. The four founders were elected as officers, Teeling becoming chair, Murray vice-chair, Musgrave honorary secretary and Dale treasurer. The Society was intended to serve primarily as a campaigning organisation and its educational and social activities came as an afterthought. In 1946, Musgrave was instrumental in setting up a parallel organisation, the Regency Exhibition Ltd, which aimed to spearhead the refurbishment of the Pavilion by staging a summer exhibition in key rooms. Support for this came mainly from London, where the great and good were persuaded to lend items of period furniture. During the event, the Regency Society organised three public lectures and a period cricket match on Hove Lawns. 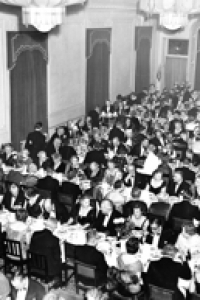 The first exhibition was a huge success, attracting more than 1,000 new members to the Society, and was repeated in 1948 and 1951.As an employee of the Corporation, Clifford Musgrave was obliged to retire from the committee in 1947, although he continued to act as an adviser. Antony Dale, now an inspector of historic buildings in the Ministry of Works, became its honorary secretary.At the end of the 1940s, the Society curated two important exhibitions – one of views of Regency Brighton, the other of Regency interiors. 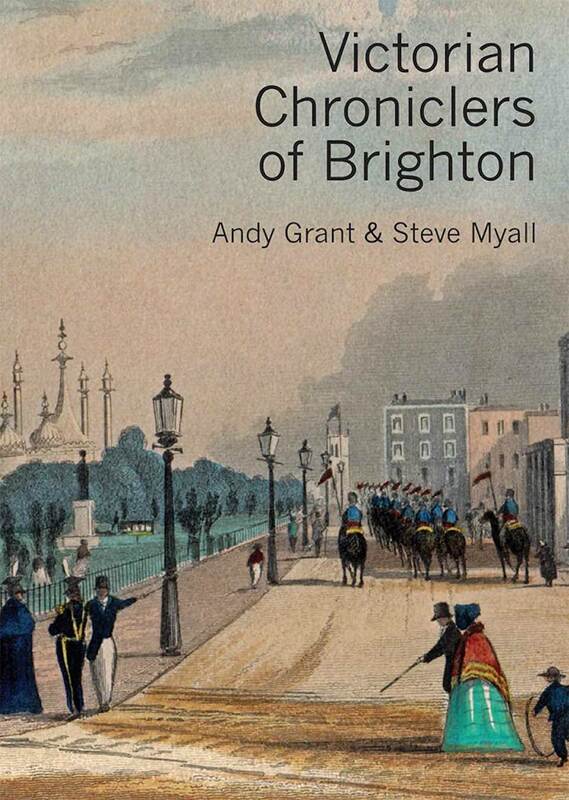 It also produced an authoritative report on the architecture of Brighton and Hove, which was amplified by two important books by Antony Dale: Fashionable Brighton of 1947 and About Brighton of 1951.After the first exhibition, the founders faced the problem of how to hang on to the membership and in 1947 they initiated a programme of winter lectures and summer visits. This was fully up and running by 1949, the year for which the first annual report was published, and formed the template for future activities. 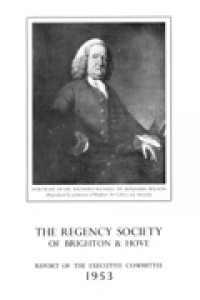 After 1951, Regency Exhibition Ltd was wound up and its assets were transferred to the Society, although Musgrave continued to run an annual exhibition under the aegis of the corporation.Antony Dale remained honorary secretary until his death in 1993. Over a period of 45 years, he ran the affairs of the Society almost single-handedly, spearheading its campaigns and organising lectures programmes, summer visits and study tours. Clifford Musgrave remained director of the Royal Pavilion until he retired in 1968.Both were successful in achieving their original objectives: Brunswick Town was saved from destruction and, under Musgrave’s direction, the Pavilion was restored to its former glory.